Living Sq. 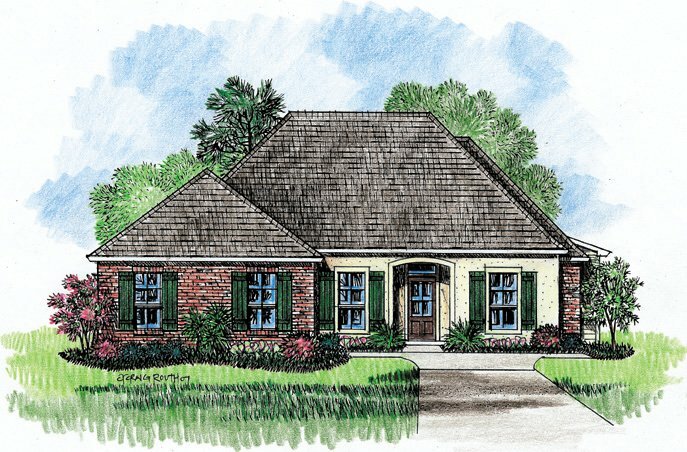 Ft. : 1768 s.f. Total Sq. Ft. : 2427 s.f. 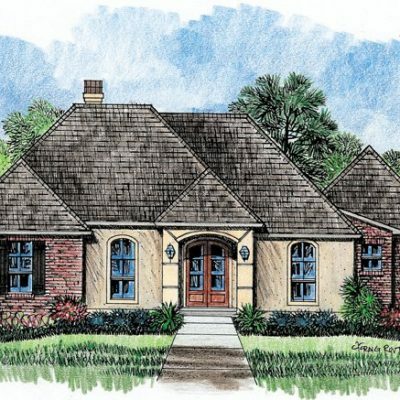 Enjoy a fine example of Country French house plan from the St. Alpino design. 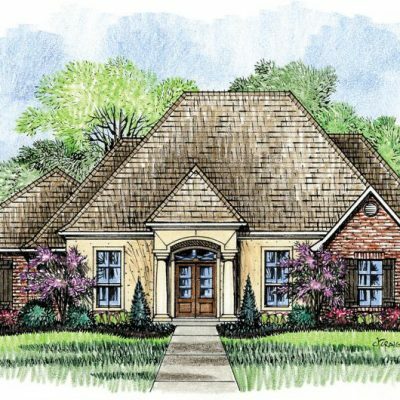 Designed to maximize available space, this home plan features a split bedroom configuration with the master bedroom on one side of the house and the other three on the other. The master suite is on the left side of the plan with his and her walk in closets and a nicely designed master bath featuring a whirlpool tub. 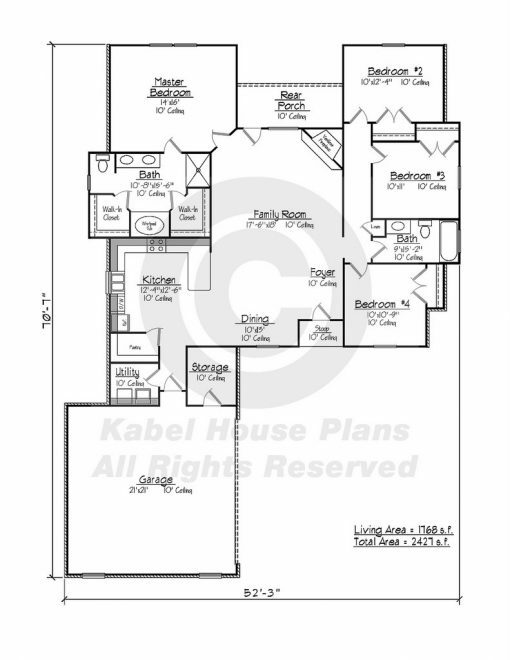 The kitchen is open to the dining and family room. 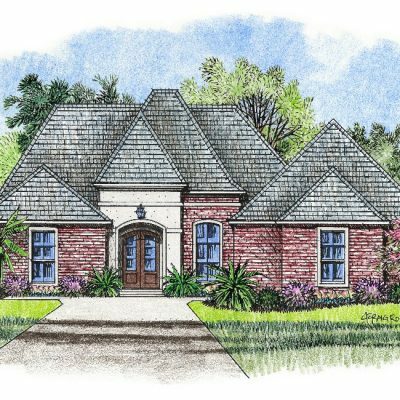 Everyone will gather in the family room to enjoy the corner fireplace and view out the back of your house. In the garage, you will find room for two cars and a storage area that could be used as a small work shop. 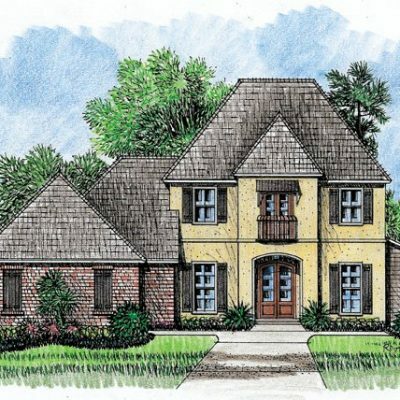 This French Country home plan wastes little space.